Salaam Cinema is more of a “personal” tribute to a few legendary figures of Indian Cinema. The exhibition will display some rare photographs though these are not presented in any historically chronological manner. Speaking about the exhibition, Roy came up with an interesting story. “Back in the 70s, a tobacco major had announced a scheme saying that if people brought five empty packets they would get an autographed photograph of Aparna Sen. The photo on display is the one I had shot for this purpose,” he said. 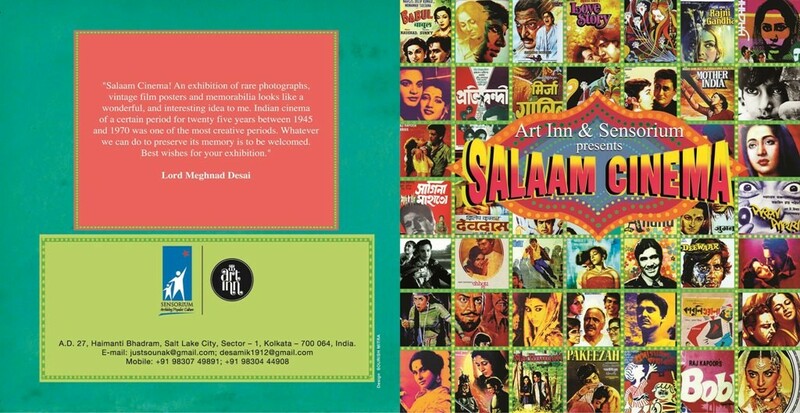 Art Inn and Sensorium presents Salaam Cinema – an Exhibition of rare black and white photographs, vintage film posters and “limited edition” film merchandise. The exhibition opens at Chemould Art Gallery, Park Street, Kolkata on 10th June 2015 and will continue till 14th June 2015, every day from 1:00 – 7:00 pm. Sensorium’s founder Sounak Chacraverti had been a curator of cultural exhibitions and also an art collector for over a decade now. It was in 2002, when Sounak started off in this journey with an art shop at Swabhumi – a heritage plaza in Kolkata. 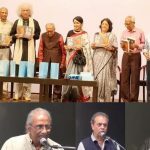 Six years later in 2008 Sounak had his first experience in curating and archival exhibition – The World of Tapan Sinha at ICCR, Kolkata. The exhibition demonstrated film stills and film memorabilia of the auteur. That is when “Sensorium” – Archiving Popular Culture was formed. In 2014, Sensorium did another similar show on Basu Chatterji called A Manzil of Memories which again became a big success. Sounak is one rare curator in our country who shuttles between exhibitions of fine arts and archival exhibitions viz on cinema. 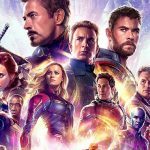 As per Sounak, Salaam Cinema is more of a “personal” tribute to a few legendary figures of Indian Cinema like Satyajit Ray, Tapan Sinha, Nargis, Dev Anand, Dilip Kumar, Arundhati Devi, Uttam Kumar, Sabitri Chattopadhyay, Suchitra Sen, Kishore Kumar, Bhanu Bandyopadhyay, Soumitra Chattopadhyay and Aparna Sen. The exhibition will display some rare photographs though these are not presented in any historically chronological manner. 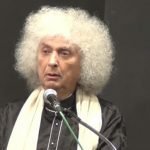 Sukumar Roy, the veteran photographer have shared many of his rare photographs for this exhibition as he did for the Tapan Sinha one. Satyajit Ray at his Bishop Lefroy Road (Photograph: Tarapada Banerjee; most probably) residence, welcoming her niece, Ruma. 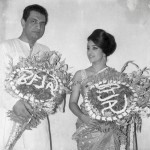 Ruma first married Kishore Kumar and then after her divorce married Arup Guha Thakurta who also assisted Ray; later Arup made two films. 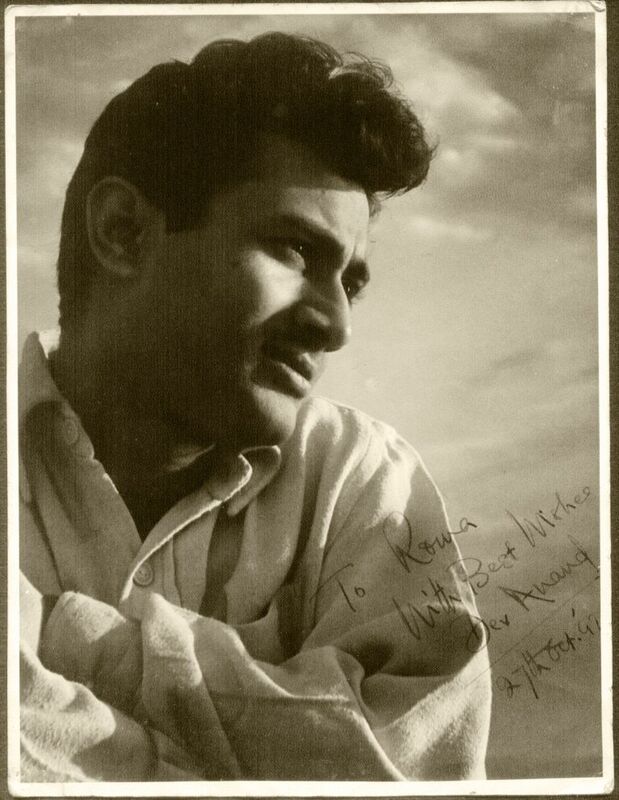 Dev Anand’s personal autographed copy to Ruma Guha Thakurata in 1947. To Roma … He fondly called her Roma. Singer Sromona Chakrabory, the daughter of Ruma Guha Thakurata had been another source. 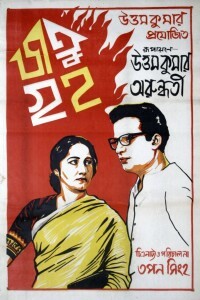 This exhibition will also showcase some vintage posters like Bimal Roy’s Do Bigha Zamin [designed by the artist Chittoprasad; a rare poster], Tapan Sinha’s classic film Atithi, the landmark film Pather Panchali (celebrating the Sixtieth year of the film’s release), the Uttam-Suchitra starrer rom-com Ekti Raat (based on Banaphool’s famous novel Bhimpalashree), Uttam Kumar’s Abhayer Biye, Uttam Kumar-Tanuja starrer, the musical hit Anthony Firinghee, Basu Chatterji’s modern classic Rajnigandha and O. C Ganguly’s Kinu Gowaalaar Golee . The exhibits include personal collections like an autographed copy of Dev Anand in 1947 presented to Ruma Guha Thaukurata, his co-star in Afsar and who was also Kishore Kumar’s first wife and mother of Amit Kumar. 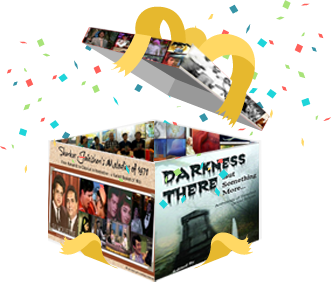 Other than photographs and posters, Salaam Cinema will have a section of “limited edition” film merchandise. The film merchandise which is unique to this exhibition is done by Samik De, founder of Art Inn who is collaborating with Sounak for this exhibition. 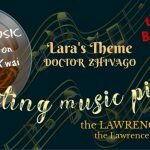 The merchandise consists of Coffee Mugs [with portraits of famous directors, actors, singers, music composers], Serving Trays, Coasters, Plates, Jewel Boxes, Wooden Platters, Ceramic Tiles, Paper Weights and a few more items. The merchandise section has been introduced to generate an awareness (especially among the new generation) towards the Legends of Indian Cinema who had played a key-role in its growth. 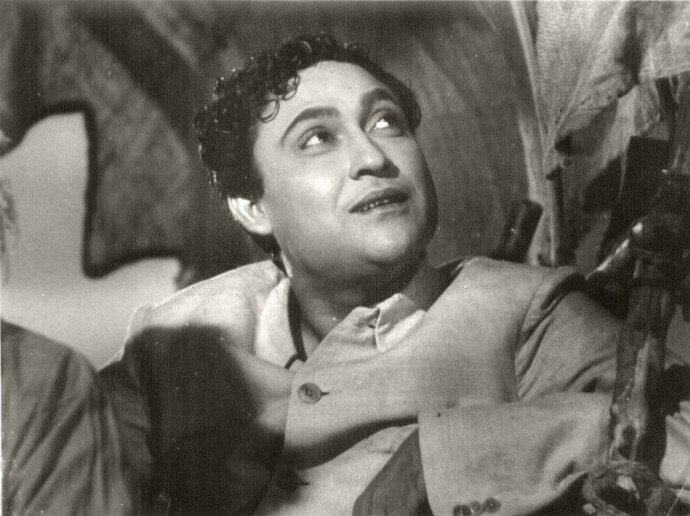 Uttam Kumar is Bengal’s most popular and iconic actor. Ruma Guha Thakurta and Suraiya in Navketan’s Afsar. The film is not seen because the negatives got lost due to fire at their office or laboratory.